Barbie Fashionistas in The Spotlight Gown Doll Just $7.63! 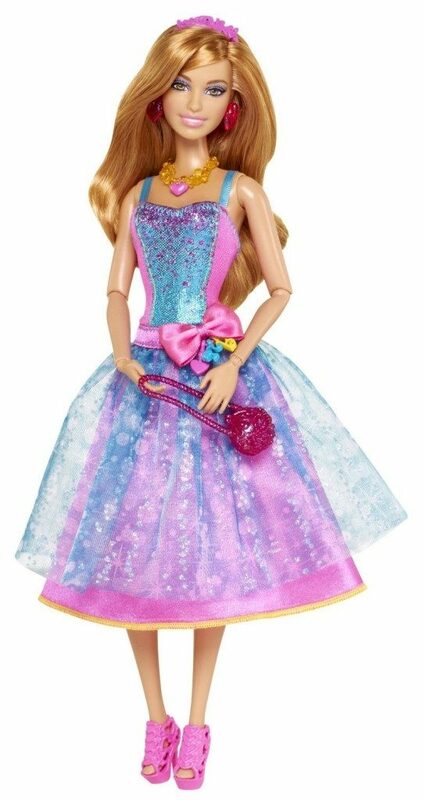 You are here: Home / Great Deals / Amazon Deals / Barbie Fashionistas in The Spotlight Gown Doll Just $7.63! If you have a little girl, I have a deal for you! Get the Barbie Fashionistas in The Spotlight Gown Doll for 55% off at just $7.63 on Amazon! Super Saver Shipping will be FREE with an order of $35 or more or get FREE 2-day shipping with Amazon Prime. Barbie Fashionistas are ready to hit the center stage! This season metallics are magnificent, and the Fashionistas look fabulous wearing them!